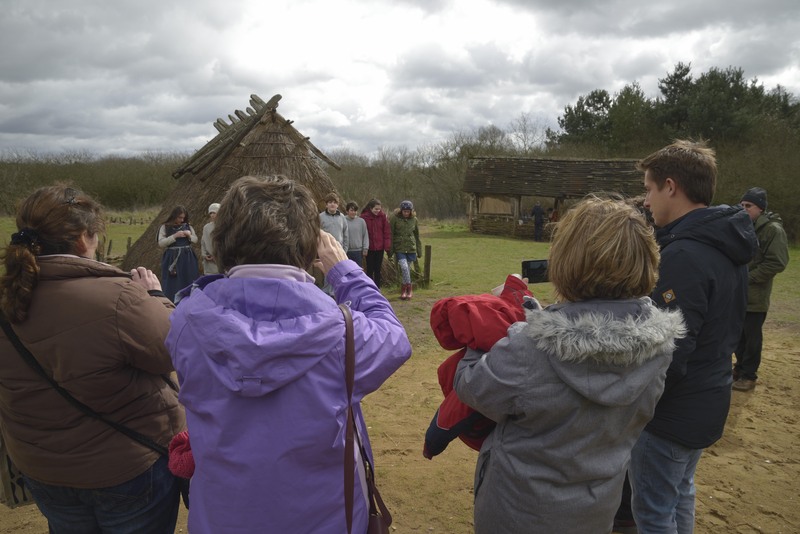 Plans had to change a little on Easter Monday thanks to very wet and windy weather! 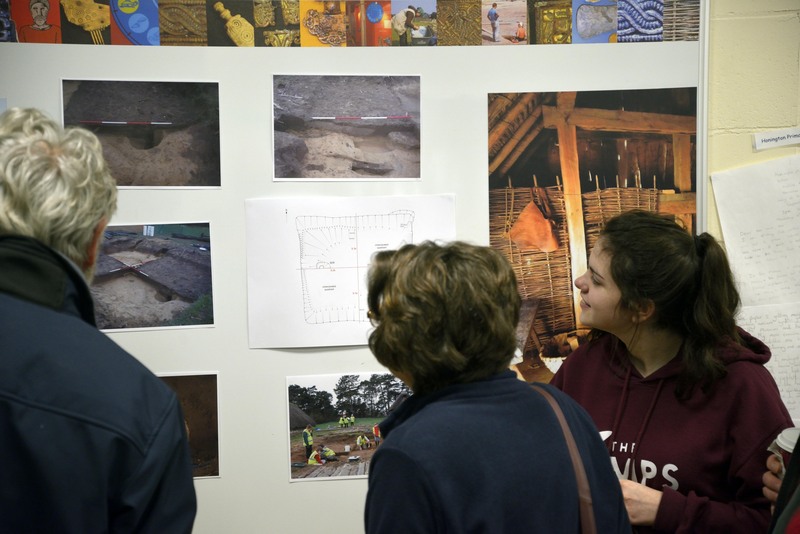 It was decided that it wouldn’t be a good idea to use a gazebo as planned to set up and show visitors finds from the dig and photographs from the whole project so everything happened in the Education Room which was warm and dry. 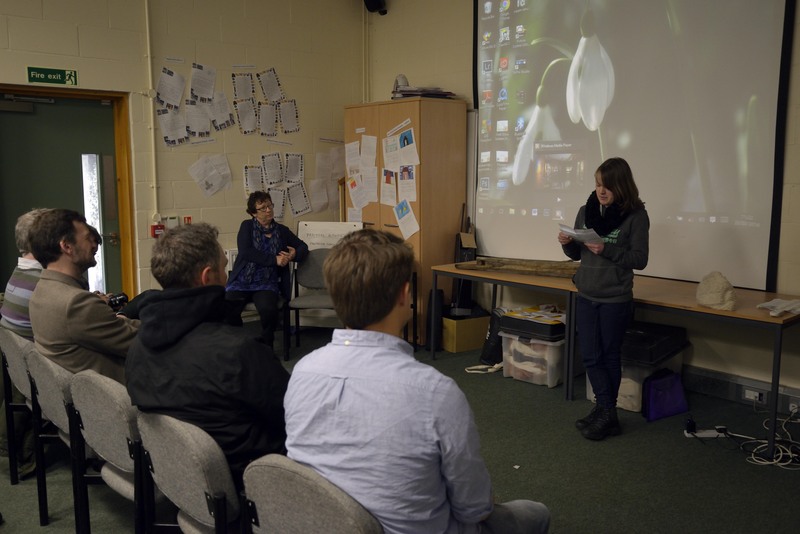 Rosie gave a brief talk to everyone talking about the range of skills that the young people had learned throughout the project and thanking the many people who had helped them. 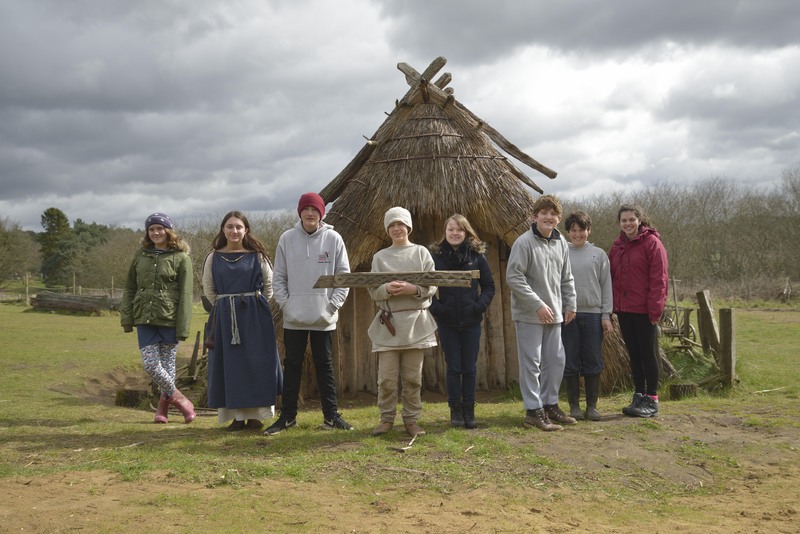 Lance from West Stow chatted about the project and about the film that the young people had made which will be shown in the Museum at West Stow. 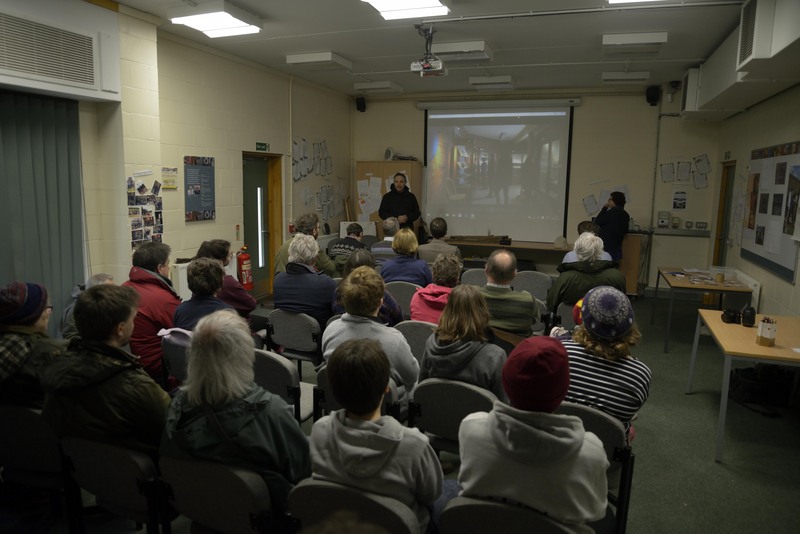 The film was then shown to assembled parents, grandparents, friends, and visitors for the first time. 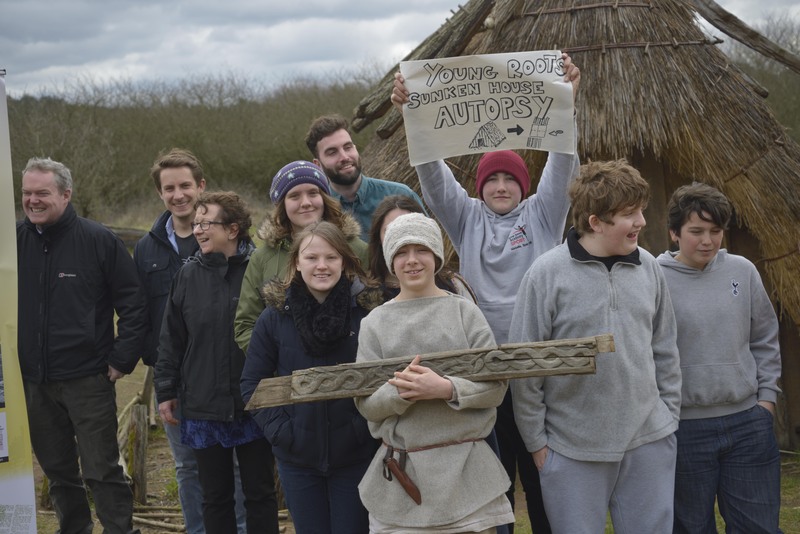 After the film the Young Roots team members showed visitors the results of the project. Everyone had to get used to cameras!